Romantic two piece Rachel Allen dress style 6589 is perfect for any occasion. This dress features a fitted satin crop top that leads into a stunning open back with a closure that ties into a bow. 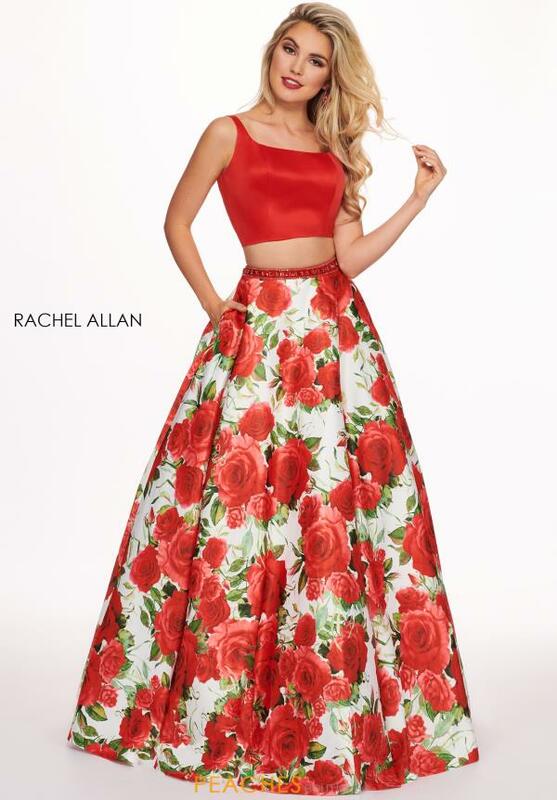 This A line skirt showcases a unique floral print that will dazzle the crowd. Shop for more remarkable dresses at Peaches Boutique.